While we may wish to ignore the possibility, the truth stands that online criminals are constantly waiting to steal your personal data and open credit cards or banking accounts. However, there are a few trusted steps you can take to protect yourself from identity fraud. When you need help, River Bank in La Crosse, WI, is ready to serve you with the latest firewalls and powerful encryption software for internet banking programs. Modify Passwords: A few times a year, change your passwords and PINs for debit cards and other online banking accounts. Choose obscure words and include symbols and numbers to create strong passwords that can’t be guessed. Guard Personal Data: Avoid giving out Social Security numbers, account numbers, and other personal information in emails, comment threads, or over the phone. You should also steer clear of unsecured and unencrypted websites, which disguise your information and ensure your anonymity. Invest In A Shredder: Use a shredder to get rid of documents that contain your personal information. Bank statements, receipts, and other materials that contain account numbers should be run through this appliance. Avoid Suspicious Requests: Ignore emails and phone calls from anyone suggesting you’ve won a large sum of money or have an impending inheritance. These are common scams to gain access to your banking accounts. Check Your Credit Reports: At least once a year, check your credit reports for credit card or loan account openings you didn’t make. Contact the issuers and lenders listed to dispute any unexplained charges. River Bank has built several layers of protection for its internet banking program, including authentication, automatic sign-off features, exclusive encryption software and high-end firewalls. Additionally, their SSL (secure socket layer) allows clients to use secure internet websites with the least amount of external violation risks. To learn more about the bank’s fraud protection measures for personal, commercial, and business checking accounts, call River Bank at (608) 788-6300 today. 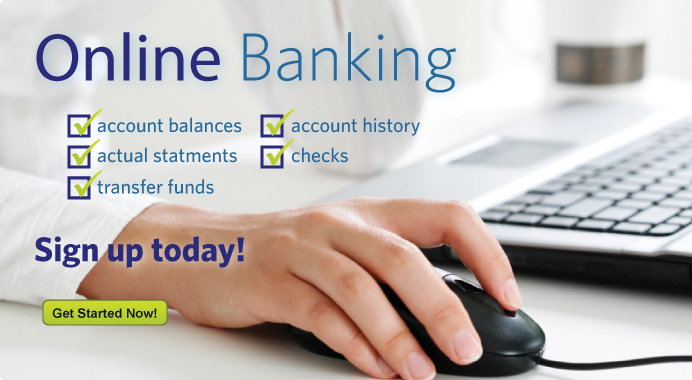 Visit the website for more information on internet banking security.